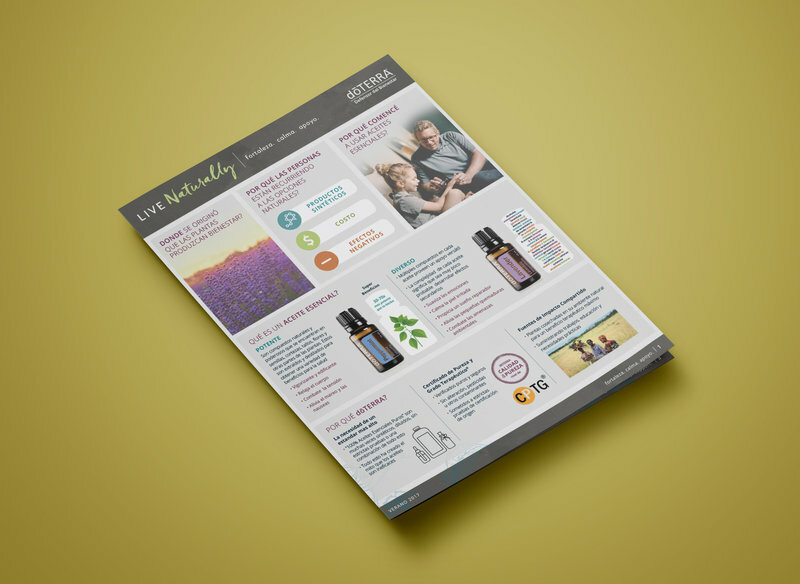 The Live Naturally class handout you've come to know and love for it's clean, intuitive simplicity is now available in SPANISH! 8-Page Handout and Associated WA/WC Agreement Forms. An easy-to-follow guide for your essential oil education class. Includes kit/pricing updates that came at dōTERRA ONE Global Convention September 2016. (Includes 20 Independent Distributor Contracts in Spanish).